A gorgeous little girls birthday t shirt, available for first, second, third, fourth and sixth birthdays. 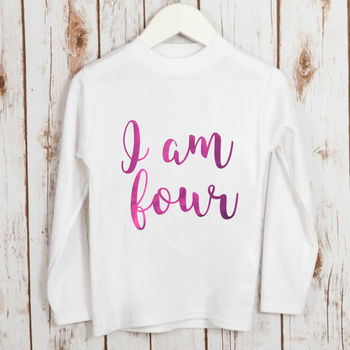 The perfect top for any birthday outfit. A lovely idea for any girl's birthday, our cotton children's t shirts are available in a range of metallic foil colours. 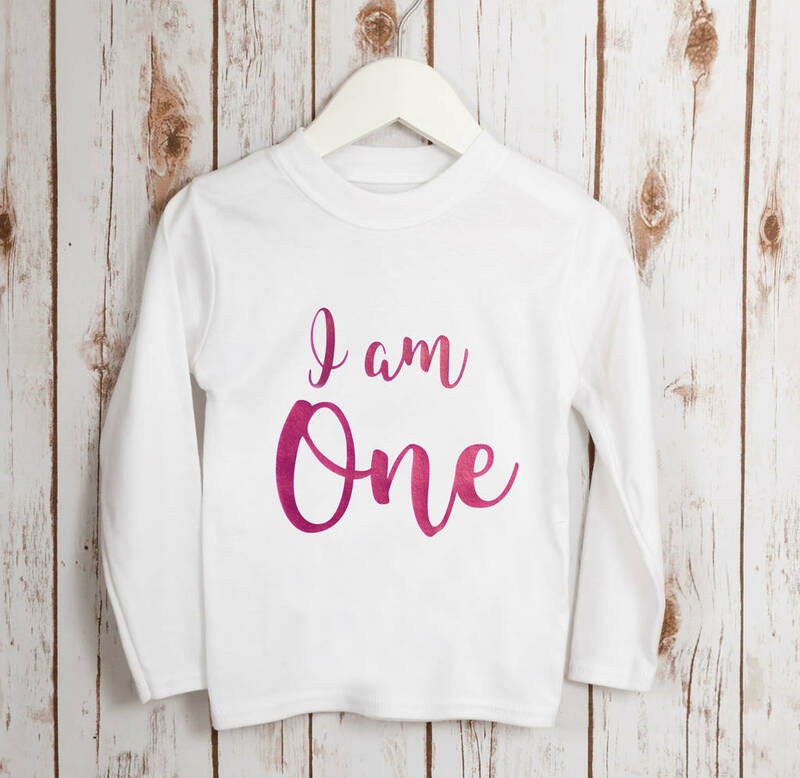 You can choose from yellow gold, rose gold, copper and bright pink to have the wording I am One, I am two, I am three or I am four. Betty Bramble personalised t-shirts are handcrafted and unique for your child. Our high quality t-shirts are made in Britain in soft interlock cotton jersey. 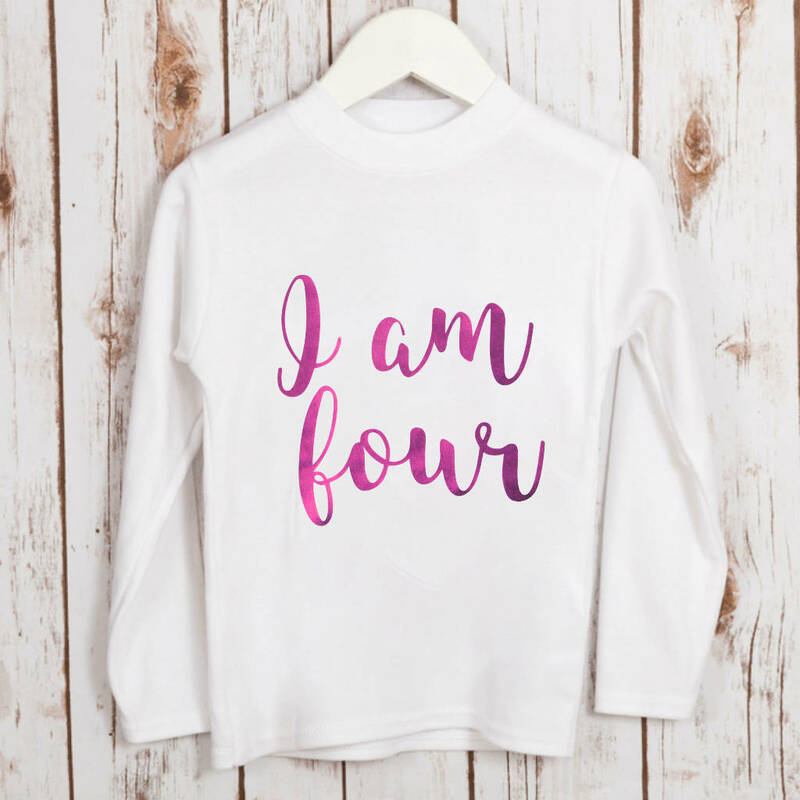 With long sleeves and a classic crew neck, it is perfect for every day wear or a special occasion!